I really like your speed boat with the white trim. 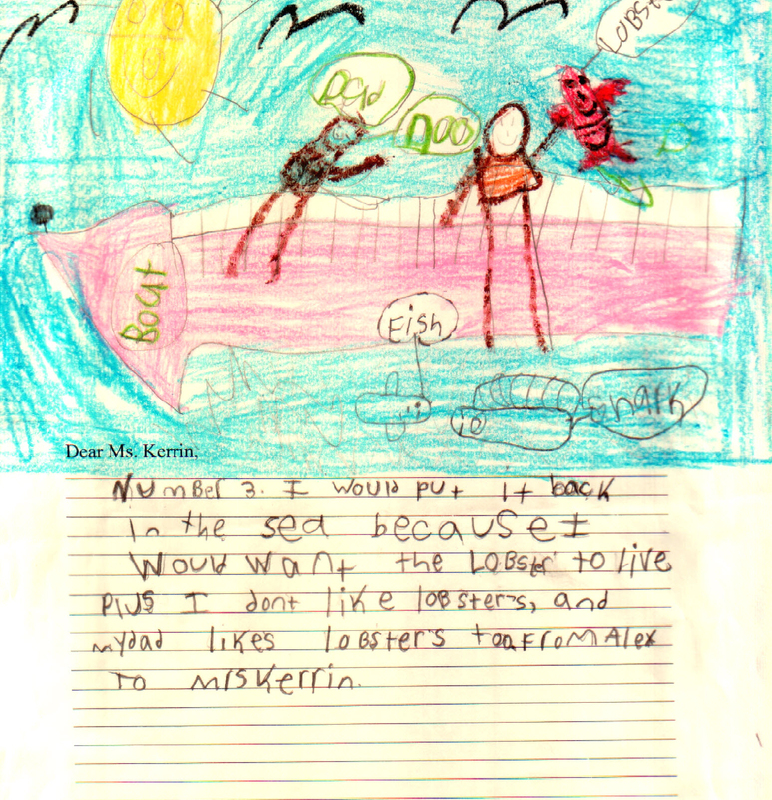 It is nice how you’ve drawn you and your dad so that everyone’s legs are dangling into the water with the fish below. That’s a great giant lobster you’ve caught, and look how happy the sun is, surrounded by seagulls. Very nice! ← Do I like lobster?